Whether it’s beauty or pet products, subscription box services are popular with consumers…and it turns out, produce boxes are just as popular. 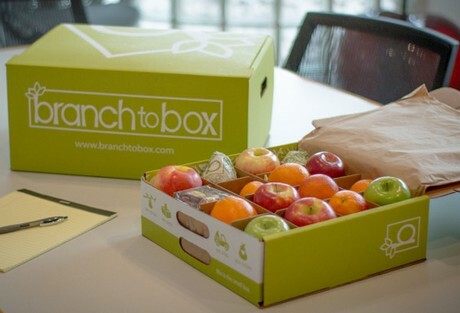 So discovered Branch to Box’s founder Chiles Wilson Jr. who founded an office fruit delivery subscription service in October of 2016. And it turns out, Wilson Jr. is no stranger to the produce business. “My dad is a farmer who grows pears, cherries through a produce growing, packing and marketing company called Rivermaid. And he also owns a part of Wespak which does stone fruit and citrus and he’s also a partner in a fruit gift basket company, agiftinside.com,” says Wilson Jr.
And so, Wilson Jr. came up with the concept last year of Branch to Box, which delivers a $27-$69/week 16-square box of produce to offices to serve as snacks for employees. The ready-to-eat seasonal fruit is staggered in ripeness—some fruit can be consumed immediately and some later in the week—and it offers a variety of produce as well as featuring new fruit each week. “So right now for example we’re featuring cherries. So this week I’m shipping out garnet cherries, last week it was Chelan and the week before, coral champagne,” he says. 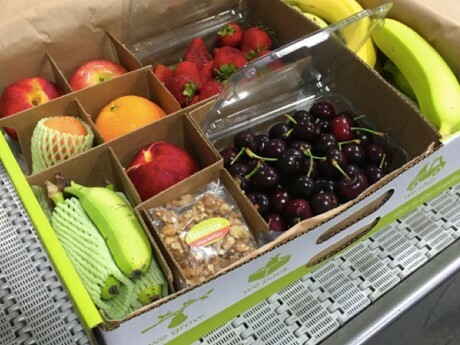 Each box also comes with a “fruit map” to explain to consumers what they’re eating and additional plant-based products such as banana chips, roasted nuts or seeds. Wilson Jr. has produce partnerships he calls on when he wants to feature other fruit not grown via Rivermaid or Wespak. “So while I don’t grow all the fruit put in to the box, I have relationships I’m able to utilize so if I don’t grow it, I know who grows it in most cases,” he says. For now, Wilson Jr. says his company has doubled in customer base monthly and he’s currently intentionally keeping it as a quarantined launch available only to North California. “I’d like to slowly scale up—I plan on being in Los Angeles, Ca. in six months and then reach the East Coast by the end of 2017,” he adds.